The Engineer Pack is what you use to setup and maintain turret defences, remote inventory stations and sensors to protect your flag and base. In Midair, the Engineer Pack, Augments and Deployables need to be unlocked from the progression tree before they can be used. When you spawn as an Engineer you will notice a series of dots above your loadout HUD. Each dot is called a Charge. The default number of Charges your pack contains first depends on your Armour class. The way this pack behaves depends on which Augments you choose. You may only pick one Primary Augment and one Secondary Augment. Engineer Tool (Active) - This tool allows you to repair equipment, players and yourself. Activate the Engineer Pack to bring up a menu of the equipment you can deploy. Note: You cannot deploy equipment inside or near enemy bases. Motion Sensor - Reveals nearby cloaked and sensor jammed enemies. Pulse Sensor - Expands sensor network, small increase to turret range (base and deployable) and socialises/indicates incoming cappers mid-route. Land Turret - Can be deployed on reasonably flat terrain, but not under water. Sentinel Turret - Can be deployed on floors, walls and ceilings of structures. Water Turret - Can be deployed on any water surface. Note: To prevent clustering there is a limit to how many turrets can be placed in a small area. 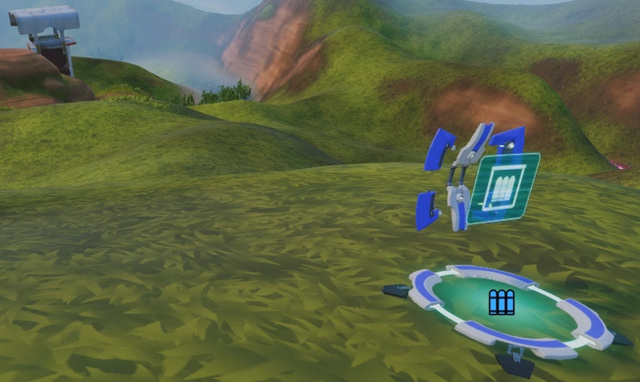 Remote and base inventory stations both regenerate your health and resupply your ammo. The main difference with a remote inventory station is that while you can change loadouts, you cannot change armour class. Attempting to equip a heavy loadout with a mortar as a light will not give you a mortar. Likewise a heavy cannot use a remote inventory station to equip a sniper rifle. For an engineer, remote inventory stations are most useful for flag and base defence as that's where the most damage tends to occur. Ideally you should have one planted in a discreet spot near your flag stand where the flag defenders can regenerate their health and turret monkeys have ready access to more charges. Using the Charge Regen primary augment will restore 1 charge every 10 seconds. Using the Charge Pickup secondary augment will restore 2 charges for every ammo nugget you scavenge (no cap). The Repair Tool works as a beam and will latch onto nearby equipment or players. If nothing is in range it will attempt to repair you. But before you can repair anything you need to either equip the Repair Tool Secondary Augment or by picking one up in your base. Note: If you pickup a Repair Tool from a wall you will drop your pack. After a quick repair you can pick your old pack up again if it's still there. Similarly, you can equip the pack of a deceased Engineer. If a base asset is destroyed it's icon will change to have a line through it. If a deployed asset is destroyed it will disappear. Engineers need to be able to replenish their charges quickly so they can deploy more equipment. When a game starts you should aim to put down a remote inventory station. Your mobility and deploying options are down to which armour you choose. Light Armour has the most mobility but is limited by it's charge capacity. Medium Armour is suited to flag defence as you can remain agile and have access to more deploying options and weapons (Eg: Missile Launcher). Heavy Armour is suited to Base Defence and has the most options for deploying and equipment. You will most likely need more than 1 loadout preset as you'll often switch between deploying, repairing and defending phases. When a game begins make sure there's a remote inventory station near your flag stand. This allows you to quickly setup at least two or three turrets around the flag before the first capper arrives. It also allows other flag defence to replenish their health, ammo and switch loadouts. If you want to play as a Medium Armour (Charge slots: 2) you will not have the ability to deploy remote inventories (Cost: 3 charges) without using the +1 Charge Primary Augment. You lose the Charge Regen but that's not a problem as long as there's a inventory station or plenty of ammo nuggets to scavenge. Using the Charge Pickup Secondary Augment in "high conflict area's" such as the flag stand way is great way to quickly scavenge charges and put turrets out but it means you lose access to the Repair Tool for maintaining them. After you have enough turrets put out, set up some Motion Sensors to ensure they'll work against enemies using sensor jammers and cloak packs. After each wave of offence check to see what needs repairing. If your team is having trouble spotting incoming cappers you can put up some Pulse Sensors further away from your base to reveal them sooner. Using a Light Armour with Charge Regen is useful for this job. Instead of Frag Grenades you might want to use Proximity Mines or Flares. The mines are handy as a last line of defence against cappers while the flares are useful for defending your base equipment or friendly cappers from incoming missiles. Be considerate of your other flag defenders when placing mines as they will take damage if an enemy shoots them or walks on them. "Note: using the repair tool on an enemy player will slightly damage them"
fixed that bit up and added a 'gameplay tips' section and a couple more images.